This kinetic installation aims to interpret the theme of Beyond Borders by empowering autonomy. People are able to define and divide borders by themselves as there are no impassable barriers within this autonomous realm. 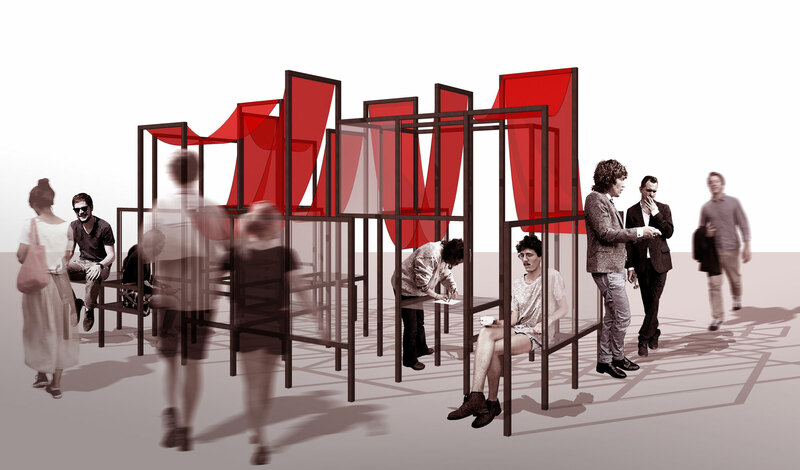 Sliding panels and red cloth can be manipulated by occupiers to create their own semi-public spaces. The idea was using the installation as an agent to encourage the public to think about and reflect the shared boundaries by involving them into this procedure of making space. The installation was designed to provide a multifunctional communal space with its five-level-high adaptable frame, which could be used for seating, chatting, having lunch, drinking coffee, meeting each other, etc.